Your grads are out there and ready to make it happen! Graduation is such a big event. Celebrate it with a party. 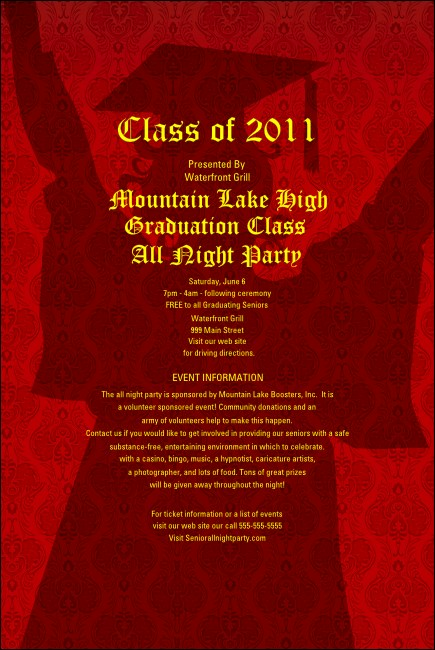 The Cap and Gown Poster is the perfect way to hype your grad bash or open house. Printed in full color, each poster features a happy grad. With tons of great designs, TicketPrinting.com can help you pull off any event.